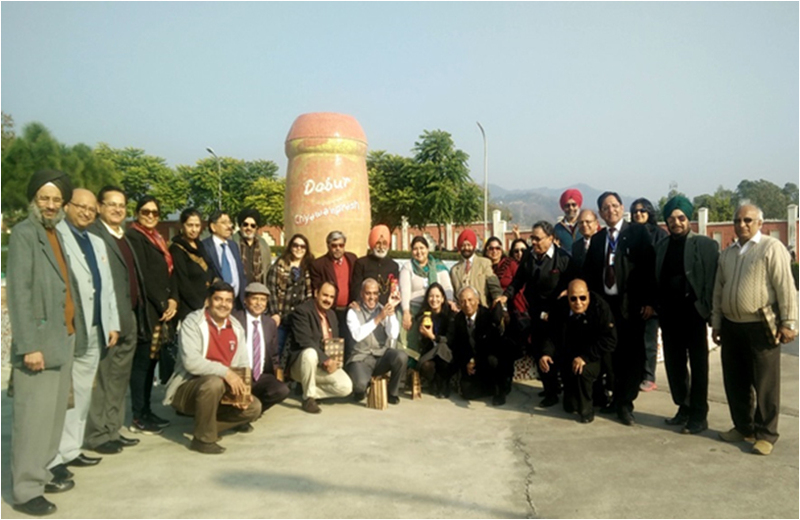 In order to equip the professional members with the latest Industry trends and best manufacturing practices, Chandigarh Management Association (CMA) organized its first ever industrial visit to Dabur India Ltd, Baddi, Himachal Pradesh. During the visit members got the opportunity to see the manufacturing processes of Hajmola, Toothpaste, Honey and Chyawanprash. The industrial visit served its purpose well as members got to see the processes in action and lots of queries related to management functions were addressed by the Senior Officials. The visit ended with a sumptuous lunch at the Dabur unit Café and Honey and Chyanwanprash to savour.